I love having plants and flowers around, they look and smell great! Unfortunately, I have to admit that I also have a hard time keeping them alive. I always feel terrible when someone gives me a fresh plant or potted flower plant, when they come over and it’s no where to be found because it didn’t survive. 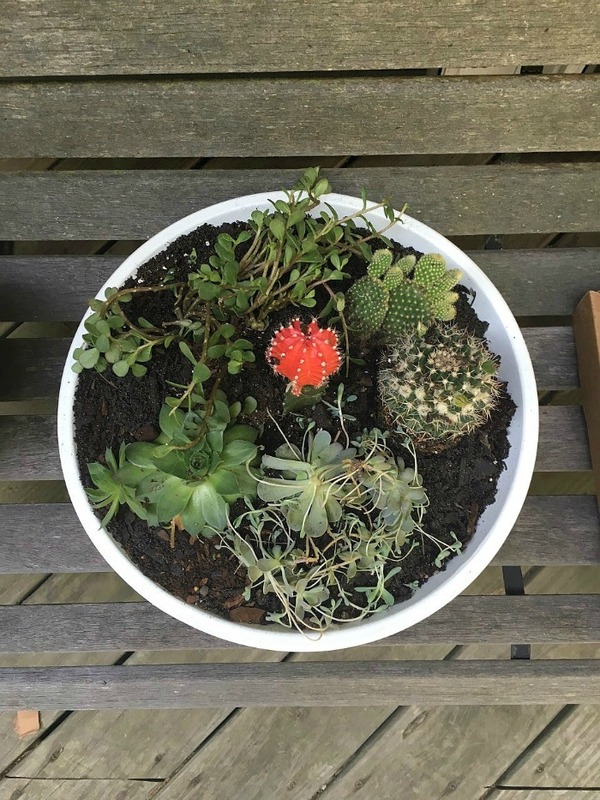 I started shopping around and noticed how unique and cool succulents and cactus plants can be. Especially this time of year when there are so many succulents and cactus plants available in nurseries or garden sections of many stores. 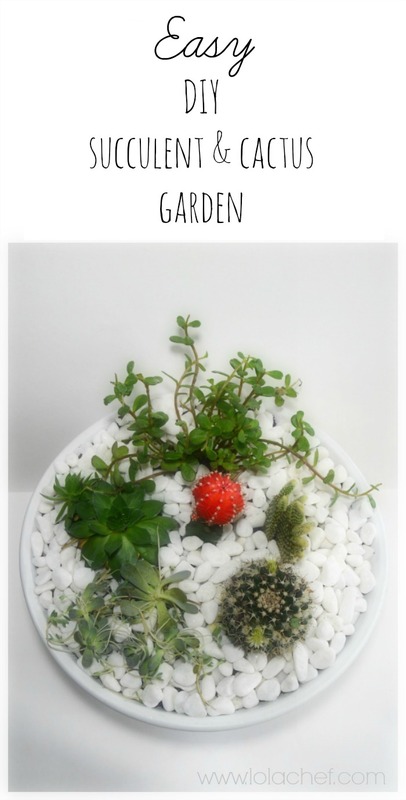 They even have already made succulent cactus gardens…this spring I decided to make my own little garden. After all they are very pretty. I started to do a lot of DIY projects because I can’t always find what I’m looking for. 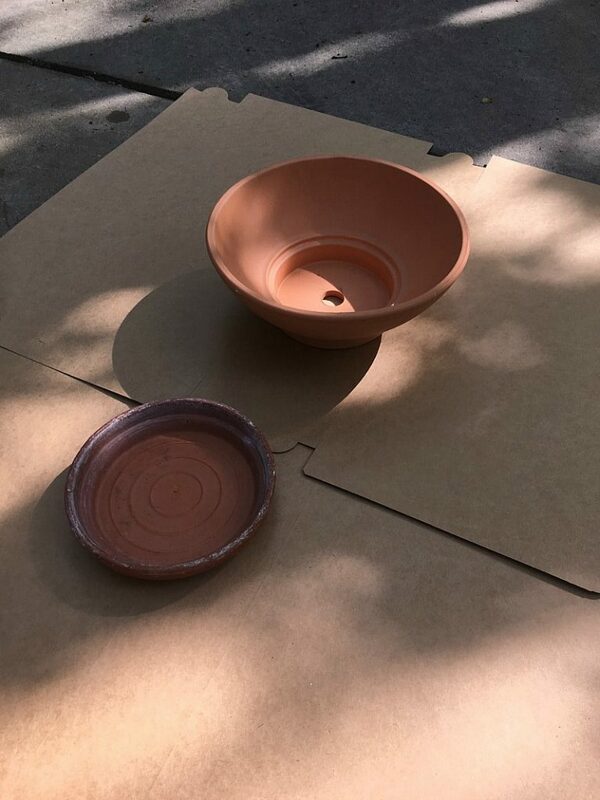 A Fiskars 18 Inch TerraBowl Planter, Color Clay (54018C) will work well. 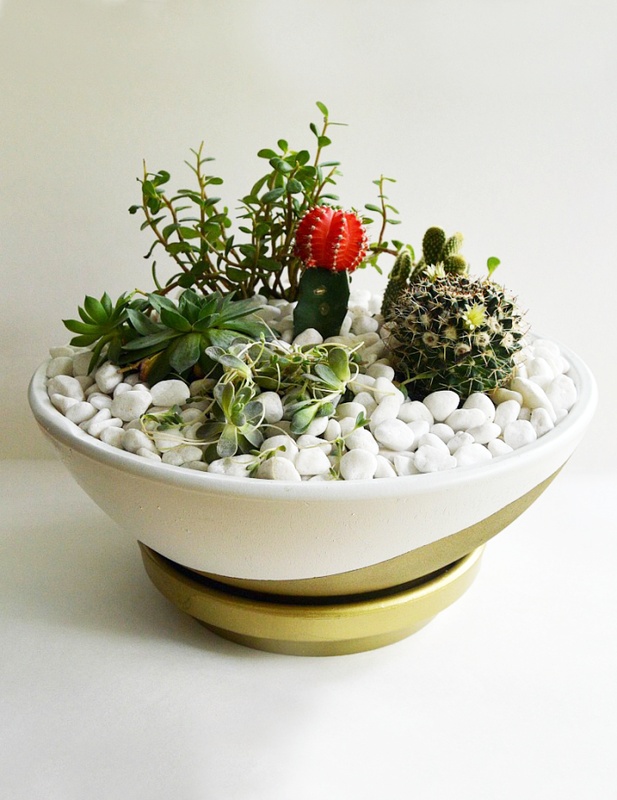 I wanted a white/gold pot for the garden so I painted a plain terracotta pot the way I wanted. I only painted the outside and top rim and left the inside natural. I didn’t want the soil to absorb any paint. The first step was to wash the pots clean and dry. I purchased a new pot but reused the terracotta dish underneath. 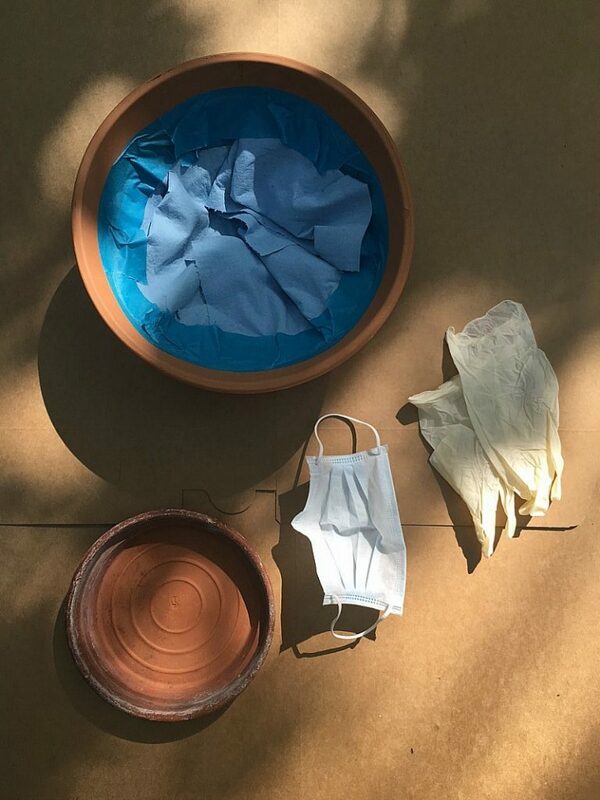 In a well ventilated area ( I painted outside) prepare pots on a work surface. I save old boxes and tear them up and create a large surface area. For this project I used Krylon 8822 ‘Dual’ Satin White Paint and Primer – 12 oz. Aerosol , and Krylon 1000 Premium Metallic Spray Paint, Gold good on multiple surfaces. When using spray paints it is good to use gloves and a mask to protect from any fumes. To protect the inside of the pot I placed paper towels on the inside and taped it off with easy to remove painters tape. 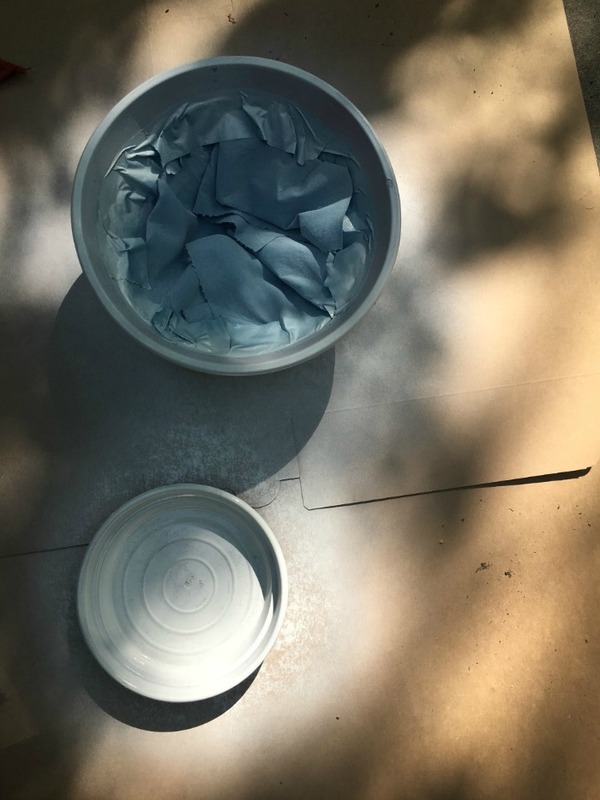 Following the instructions on paint can spray paint onto pot in small even amounts and let each coat dry completely. Once dry turn upside down and paint the bottom. 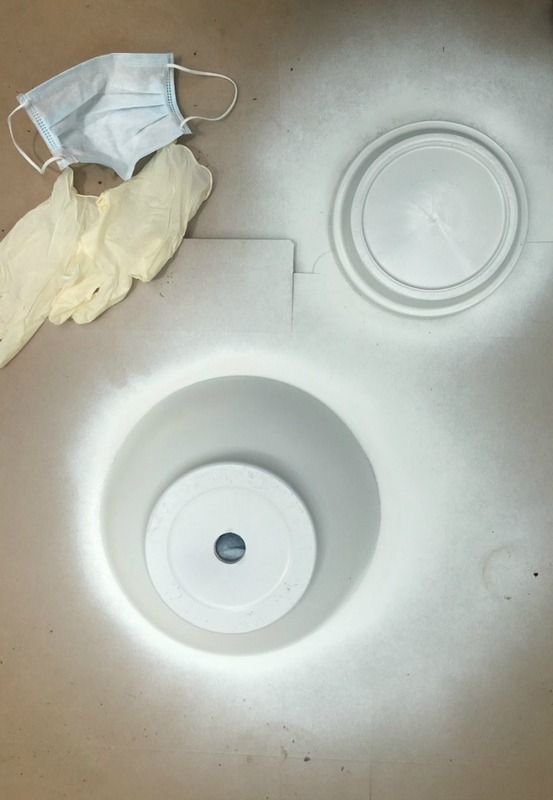 Once the first coat is completely dry and you are able to handle, tape off area you want to stay white. 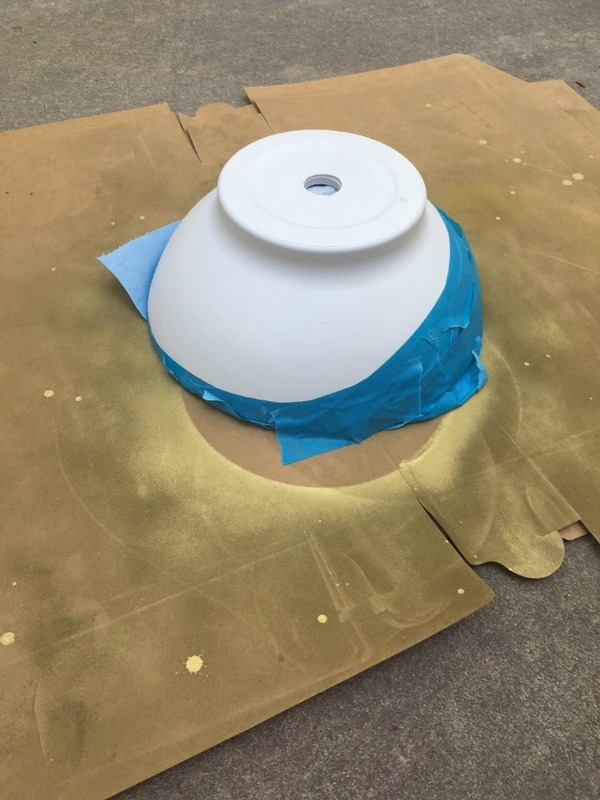 Place down onto work surface and spray bottom dish and open portions with the gold spray paint. 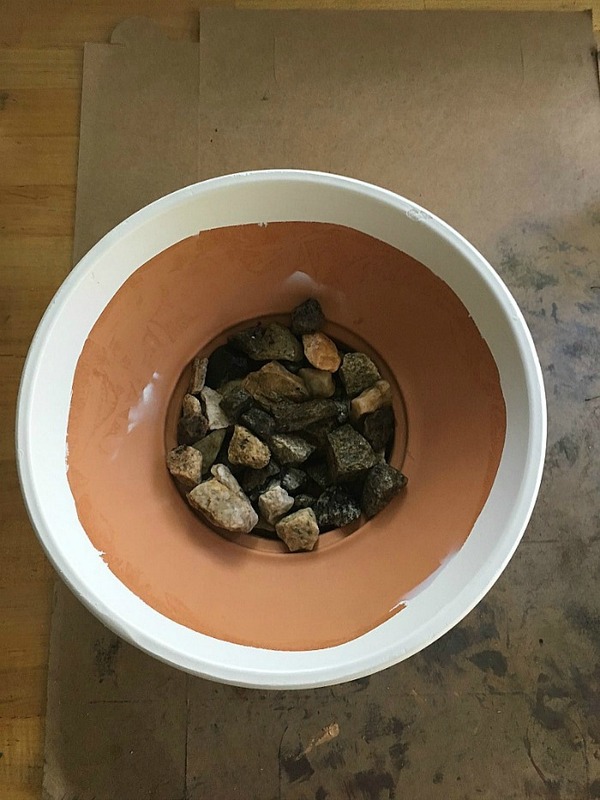 I let the pot dry for at least 24 hrs before adding rocks, soil and plants. 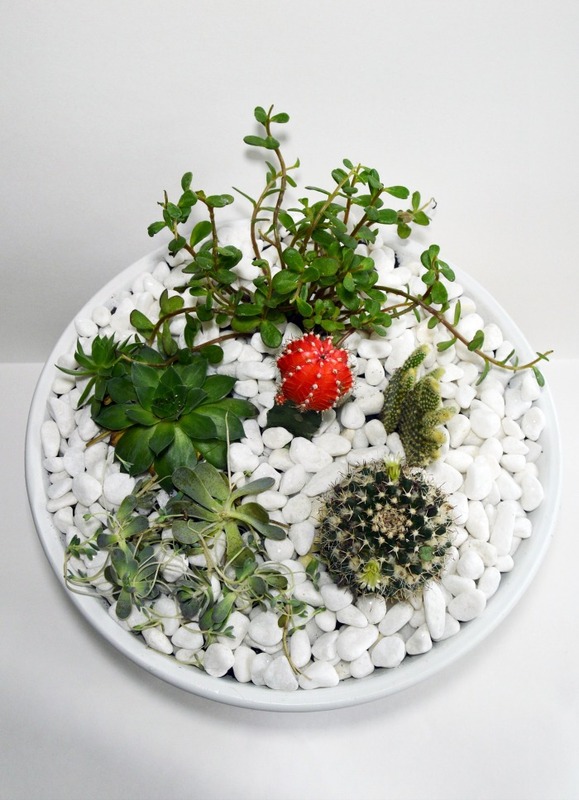 Succulents and cactus need lots of drainage. 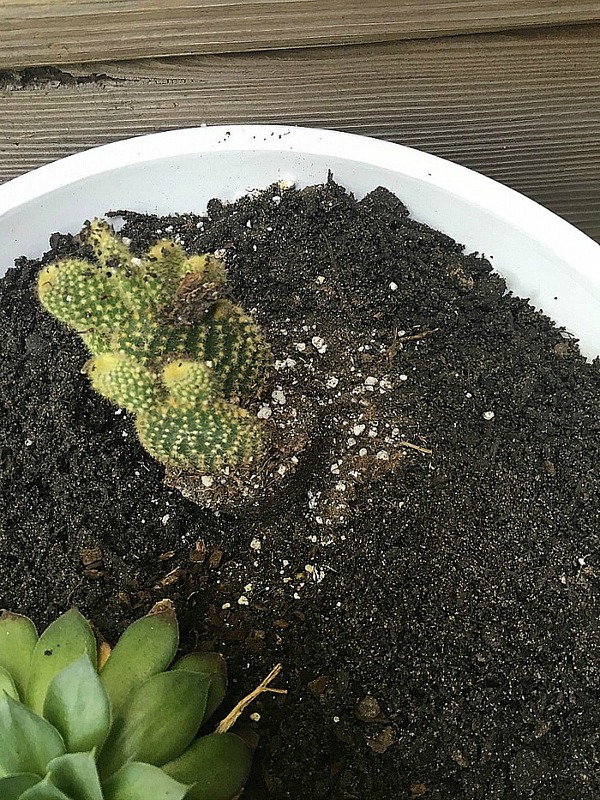 For a succulent cactus garden, use a pot with a drainage hole. For extra drainage, I placed rocks on top of the drainage hole before adding soil. 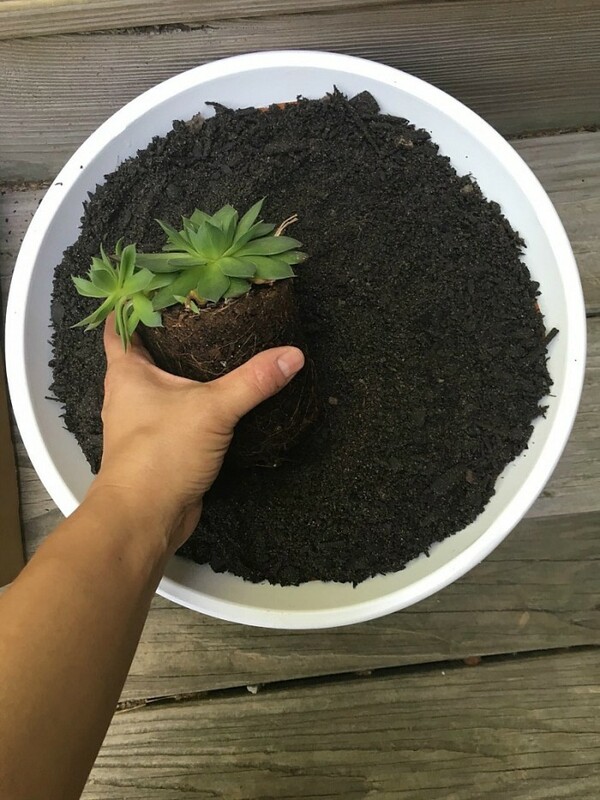 Using a cactus mix soil such as, Organic Succulent and Cactus Soil – 1 Gallon that is great for both succulents and cactus plants. 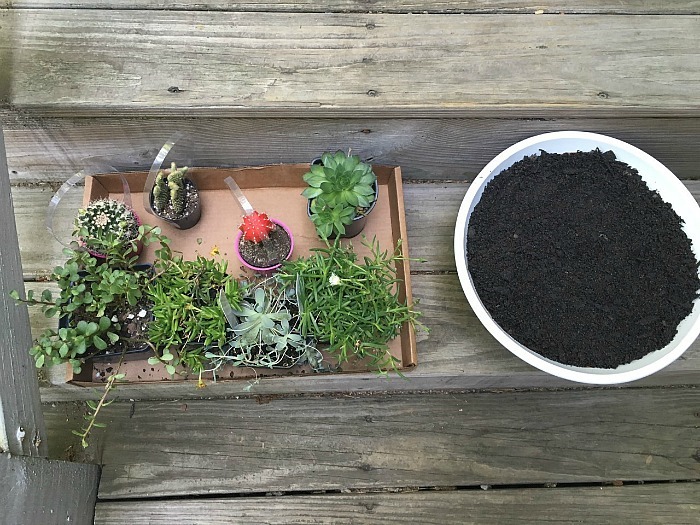 Dig a hole for each plant and place in dirt. As you can see at first I didn’t…..and it hurt my fingers. Giving each one enough room from one another. Arrange how you like! Then I added decorative rocks on top of soil. This is a great way to add a touch of color and personality to your decor. It is best to keep in a good amount of sun either indoor or outdoor with air ventilation. I keep mine in a screened-in porch that gets lots of sun and has many windows that can be opened or fresh air.